If you use your garage as a workshop or hobby room, you won’t need anyone to tell you what a cold space it can be during winter. Of course you can always get a space heater to keep you warm while you’re working. Whether you use a heater or not though, one way to keep some of that winter air out is to apply a weather strip to your garage door frame. It will make a surprising difference and reduce your heating costs too. 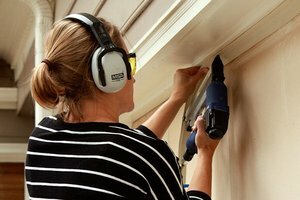 Installing a garage door weather strip is ideal for a quick DIY project. You shouldn’t need much more than an hour outside in the winter chill. Here’s an easy 7-step guide to weather stripping your garage door. You can go with nails all the way for fixing your garage door weather strip. If so, the three items listed above are all you need. If you want to spend less time out in the cold, you can add a brad nailer, U-shaped staples and an air compressor to the list. Don’t forget your safety glasses and ear defenders too. The following instructions assume the use of a nailer. 1. Starting on one side of the door frame (outside), pull the end of the weather strip up to the top of the frame. The strip is right angled with a long side and a short side. You need to have the short side against the door frame and the long side should press lightly against the closed garage door. 2. Fix the strip in place by hammering a single nail through it, into the frame just below the top end of the strip. 3. Switch to the brad nailer. While making sure the strip stays flush against the garage door, start driving staples into the strip, one every few inches. After every fourth staple, hammer a nail in. Continue to the bottom of the door frame and use a nail for the final fixing at the bottom. 4. Trim the weather strip at the bottom of the door frame. Be sure to trim the short side of the strip at a downward angle to leave a slight tail. This will seal any gap at the bottom of the actual frame. 5. Repeat steps one to five above, on the opposite side of the door frame. 6. Now fix a length of strip along the top of the door frame, again using the sequence of one nail, then four staples, then a nail and so on. 7. When you get to the sides with your top strip, trim the strip tight against the side strips. Don’t allow any overlap, as this would create a gap that lets air through. Now you have a garage door that’s snugly sealed against the elements. For perfect weather-proofing, you can always install a threshold strip along the bottom of the door as well. Then you can retire to your workshop, turn on that space heater and bask in the warm glow of satisfaction. 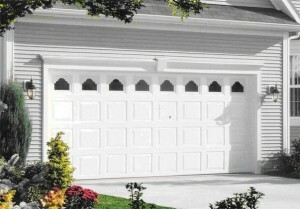 When you’re buying a new garage door, there are a few types of doors from to choose from. If you want a garage door that opens upwards, rather than opening in or out like a stable door, you can eliminate all but three types. That leaves you with a choice between a sectional garage door, a roller door, or a single panel up-and-over. As with most things, each type has its advantages and of course, personal preference is often as good a reason as any to select one particular type of garage door. 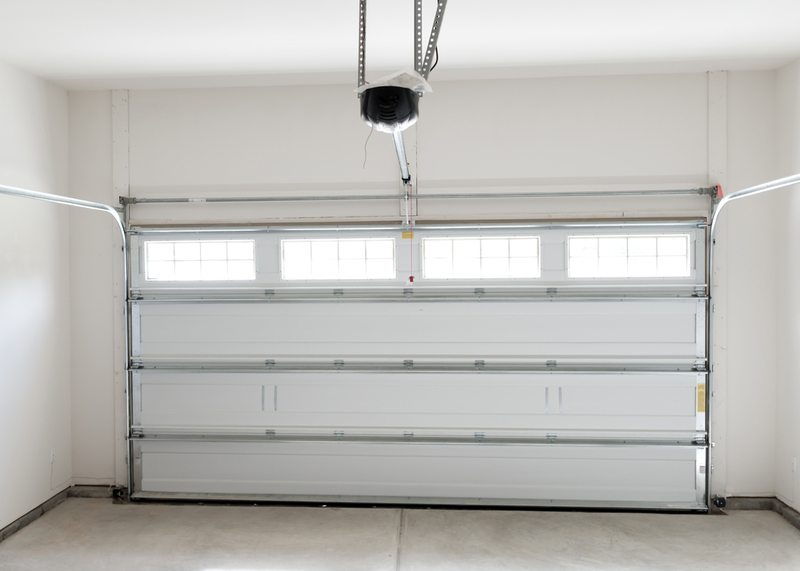 It always helps though, to know some facts about each of your options, so here are 5 reasons you might choose to install a sectional garage door. 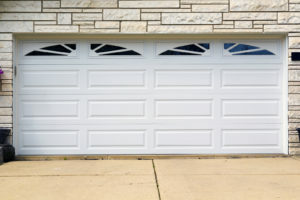 Because a sectional garage door is made up of multiple hinged panels, which all run on a track, the door doesn’t pass through the aperture of the doorway. That means you can drive your car really close to the garage door without obstructing it. Even if the fender of your car is just an inch away, you can still open the door to your garage. So if you need to get your car up close and personal to your garage, just to clear the sidewalk, a sectional door is ideal. The method by which a sectional garage door is installed takes up very little space at either side of the door aperture. 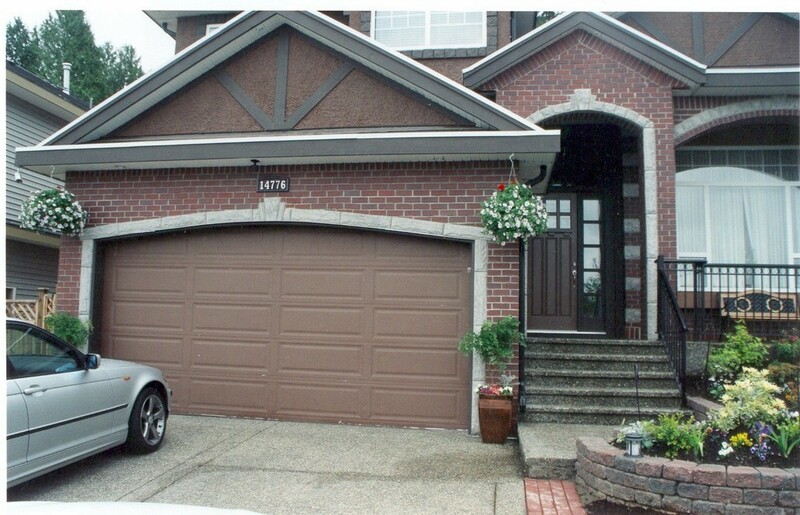 That makes this type of garage door advantageous if you need to maximize clearance for the width of your vehicle. If you are challenged with a combination of wide automobile, narrow garage, a sectional door will save you a precious centimeter of clearance. It may not sound like much, but your door mirrors will appreciate it. The mechanism and structure of a sectional door makes it extremely strong and secure. The multiple rollers on running in tracks at each side of the door resist any lateral movement. This kind of garage door is not going to be easy for anyone trying to force it open. If you’ve got a fancy shaped doorway to your garage, a sectional door is going to be your best choice. The design of these doors is such that the shape of the aperture is not very important. 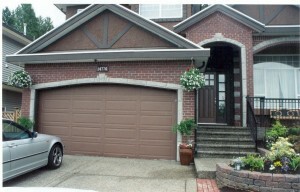 Since most garages are at the front of a property, they attract attention. A nice new sectional door on your garage is going to attract positive attention. The fact is – sectional doors look good. They come in a wide variety of materials, colors, and finishes to improve the curb appeal of your home. 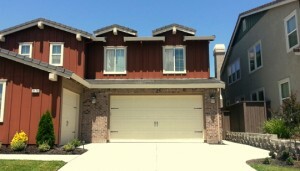 A new garage door is an investment, protecting your home and vehicle from intruders. Once you’ve installed it, you should be in no doubt that, you’ve made the right choice. Space saving and secure, attractive and unobtrusive, sectional garage doors are popular for at least five good reasons. Garage door springs are some of the door’s components that need to be kept in good working order since they determine how smoothly a door closes and opens. More importantly, they need to be inspected frequently because the breakage of a garage door can cause the door to come crashing down. This is not only expensive because it can cause irreparable damage to the door necessitating that a new one is installed but can also cause injury to a person if he or she is standing under the door. If you find that your garage door springs have broken or are weak and need replacing, there are five things that you must know when you get to the home depot store. When shopping for garage door springs, you should know how many springs you will need to buy. The number of springs on a door is largely determined by the type of garage door and manufacturer. While it is not common for all springs on a garage door to break on one occasion, it is recommended that you replace springs in pairs. What this means is that if the spring on one side breaks, the best way to keep that garage door working well by being properly balanced is to replace the broken spring and its identical spring on the other side of the door. This allows for the forces to be distributed equally which prolongs the life of the springs. The door height determines the size of spring that a door uses. If you have an 8 foot door, you should specifically buy springs for an 8 foot door. Using a spring for a 7 foot door on an 8 foot door will cause the springs to stretch more than they are supposed to. This increases the risk for breakage of the springs. The length of a garage door spring determines how long it can stretch. The size that is quoted on the spring is its size when compressed. Picking out the right spring size can be quite confusing since it is possible to have several spring sizes for a specific garage door. If you find yourself in a situation like this, just keep in mind that the larger springs are for the taller doors. The weight of the garage door also affects the choice of springs. A heavy door will need springs that are closely wound since it will stretch them more than a lighter door. The weight of the door depends on the material with which the door has been made. Many people don’t realize that garage door springs are color coded. The color coding is used to determine the stretch and tension associated with the spring. To determine what color code to buy, look at your old springs. With these five pointers, you should be able to you pick the fitting springs for your garage door with ease. There comes a time when the garage door is too old and no amount of repair, regardless how good your repair technicians are, can salvage it. When it gets there, the only option you have available is getting a new garage door. Another instance that may result in the installation of a new garage door is when you decide to remodel the house and opt to find a garage door that fits your new style. Whatever the reason, there are a few important things that you should have ready before installing a new garage door. Assuming that you will be doing the installation by yourself, you will need a helping hand. 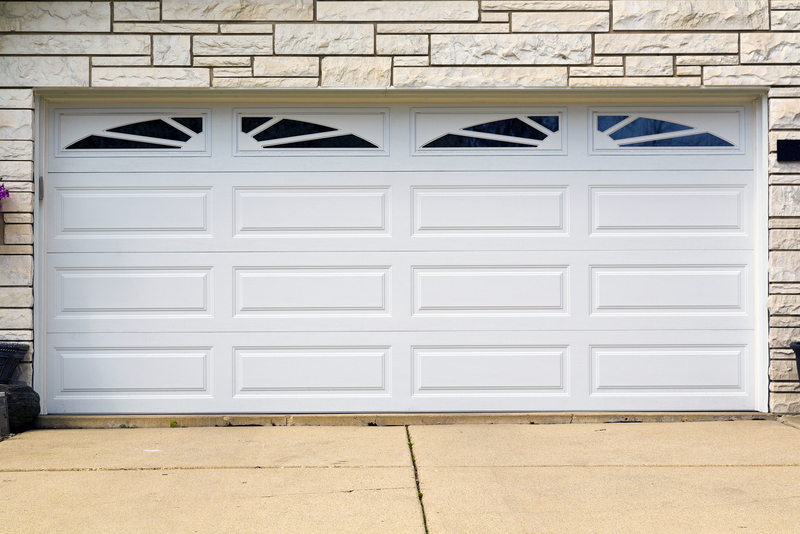 Garage doors typically weigh anywhere from 100 to 500 pounds. As a result, lifting the door up into position will require quite some effort. The best helping hand is an adult relative or close friend. This is because garage door installations are physical affairs where injury can happen unexpectedly. The last thing you want is someone suing you over an injury sustained at your garage door’s installation. Check to ensure that you have all the parts of the new door before taking down the old one. Go through the garage door installation guide that comes with a new door and tick every single part before you start removing the old door. You don’t want to take down the old door only to realize that you don’t have everything necessary to put up a new one. Unless you are thorough about verifying that all pieces to the new door are there, your garage might remain opened and exposed as you wait to get the forgotten piece. There are two categories of tools that you will need to successfully install a garage door; the professional tools and light additional materials. For the professional tools, you will need a hammer, screw driver, clamp, level, tape measure, pliers, drill, step ladder, hack saw, T-square, tools for working the springs, saw horses, wood saw and a socket wrench kit. For the additional materials you will require oil, rope, a wood block and nails among others. The overhead space where the new door will rest when it is opened needs to be sufficient. 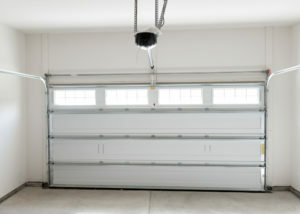 This is especially important if you are changing from a sliding garage door to an overhead rolling door. 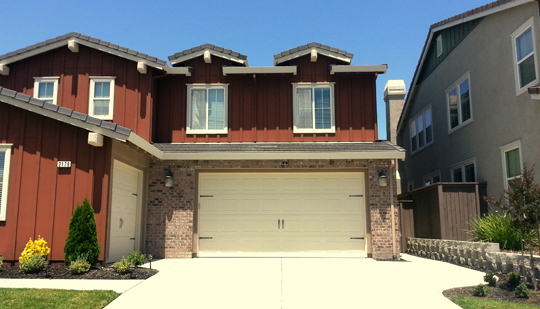 The garage door manufacturer will tell you how much space you need overhead. The last thing on our check list for a successful garage door installation is safety gear. We recommend that you have a first aid kit within reach to help take care of the minor injuries that might occur. You will also need to have other safety equipment like gloves and construction helmets to protect your head. If all this is too much work for you, the best thing to do is call a garage installation company and they will take care of everything. Garage door technicians, like any other professionals, tend to have different personality types and carry themselves in diverse ways. The individuality of a technician not only affects how he or she is perceived by clients but also affects how he or she relates to fellow technicians within the industry. A good garage door technician should exhibit a few key qualities as we see below. 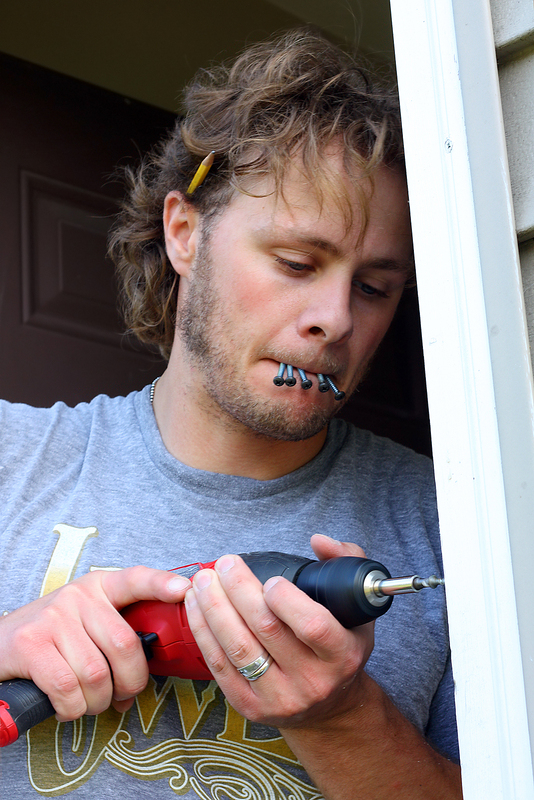 A good garage door technician should know the ins and outs of his or her business. This means that he or she should be able to answer most of-if not all-of your questions related to garage doors. If you find that a technician does not fully answer your question or shed light on your issues, it is best that you don’t engage his or her services, irrespective of his or her recommendations or apparent success as exhibited by his or her portfolio. A good garage door technician should be well specialized. This means that if the technician is a hinges expert, he or she should have relevant experience to support the claim. The best way to ascertain the degree of specialization is by simply asking technicians specialized in other areas if they know of the technician-in-question’s experience. Typically, technicians will know their peers who have excelled in different areas. Specialization is especially important when the technician deals with garage door locks and security systems. These particular areas not only affect the integrity of a garage door but also the security of a family and their possessions. When a technician has good relations with suppliers, he or she is in a position to positively influence the pricing of materials that may be required in undertaking maintenance on a garage door. While it is not strictly expected that a technician get you bargains with suppliers, it is desirable that he or she does so. Good relations with suppliers and stores are also a pointer towards the experience of the technician. The reasoning here is that a technician buys a lot of materials because he or she has many engagements. We have nothing against out-of-state technicians but it is better for everyone involved that a technician is from the same area as the client. This helps in saving costs and time that would have been spent in bringing in someone from outside the state. Close proximity also ensures that subsequent repairs don’t cost too much since the technician will be able to attend to your garage door without having to travel far. This ease of access that a technician from close home allows a client can at times be the difference between getting repairs done fast and at a small price or waiting for a repair for long that the small broken parts demand bigger repairs. We realize there are many qualities that set apart a top garage door technician from regular technicians not discussed above. However, the above points should be enough to guide you when choosing between technicians.